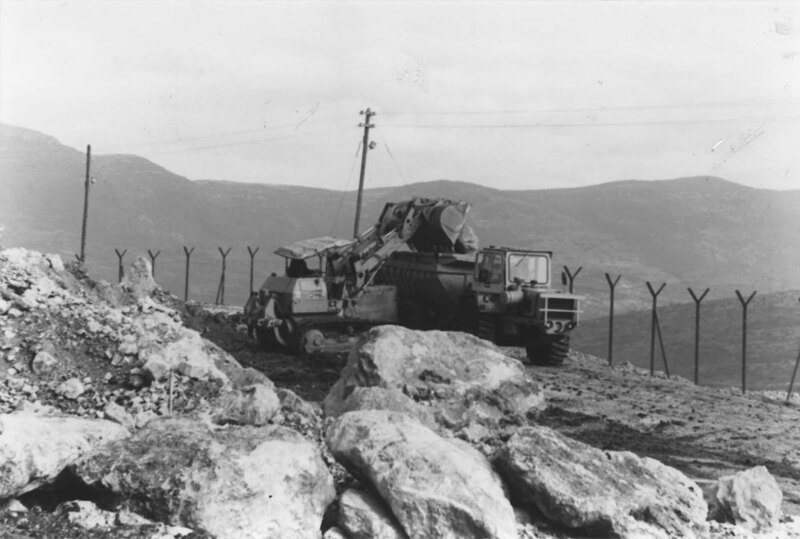 Photograph depicts a machine clearing the land. Written on verso: "Land clearance at Givat Hananiya. 1 1/2 x 2 1/4 65%. Bottom B. JNF Galil. P. 2 Feb 14/80."